The Pacific Women’s Herbal Conference is a magical gathering of women and girls of all ages. For a whole weekend (and longer, if you wish to attend the amazing pre-conference workshops) you can explore the wonderful, welcoming world of the plants and their medicine, and receive the medicine of one another with laughter, dancing, delicious food and nourishing infusions, heart-connecting song, and women’s wisdom — all in a beautiful forest and shore location on Vashon Island. The Conference takes place on Sept. 20~22, 2019. As a nature instructor, I happen to work at this location every week, and let me assure you, this 400 acre location (Camp Sealth) is a place where magic happens. Perhaps Eagle sings overhead, or Otter lets you glimpse him heading to the beach, or Deer bask in the moonlight. Perhaps the trees lean in to whisper a message especially for you. Perhaps you find a wishing stone, a listening stone, or feel the mist rising off the Salish Sea to welcome you into your ocean nature. This enchantment and more opens to those who come together with intention, loving hearts, curiosity, playfulness, generosity, and gratitude. And that is what the Pacific Women’s Herbal Conference brings together from start to finish. The medicine of Hildegard of Bingen,12th century German physician, visionary, abbess, author, and saint, relied on an understanding of our bodies as gardens, and the work of healing as tending a garden In this introduction to a practical, compassionate, nature-based healing practice, we’ll adventure in the basics of herbal energetics to better support our family members and ourselves. In the early medieval Irish Ogham, or “tree alphabet,” each letter embodies a particular tree or plant spirit. In this Celtic-infused workshop we’ll pass time in the company of trees, both those named in the Ogham and our native trees. We’ll explore firsthand their energy, teachings, folklore, and medicine uses by way of our senses and connection, and begin creating our own Pacific Northwest ogham. If the trees are willing, we’ll even craft ogham sticks. Expect sweet enchantment and deep wild wisdom! As an herbalist and practitioner of what she calls “Deer Medicine Ways,” Jane Valencia loves welcoming women and girls into the magic of the green world that surrounds us. Through forest and garden learning adventures, writings, and illustration, she helps the herbal curious to get down and dirty getting to know the plants and their healing ways and to discover what the plants reveal about our truest nature. An instructor with the Vashon Wilderness Program, Jane is the creator/ mentor of VWP’s herbal girls camps. 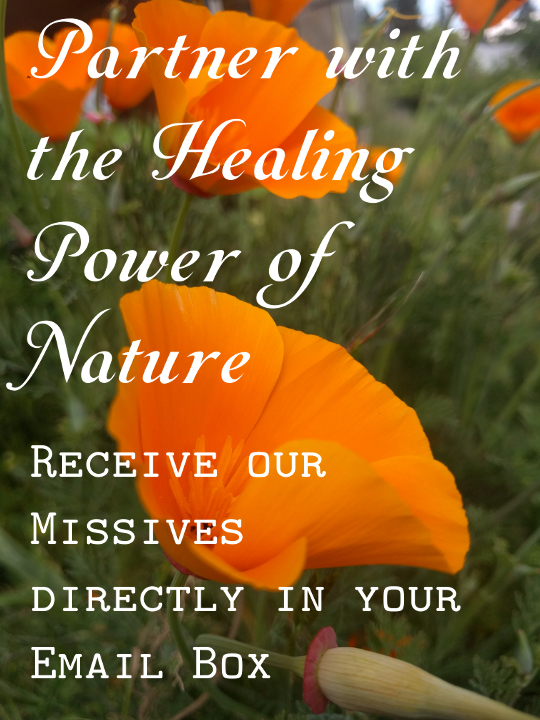 Sacred plant medicine and traditional Western herbalism are her well-spring. Jane is author-illustrator of Paloma and Wings: a Kids Herbal Comic. Go here to find out more about the Pacific Women’s Herbal Conference. We will never sell or distribute your email address to anyone!